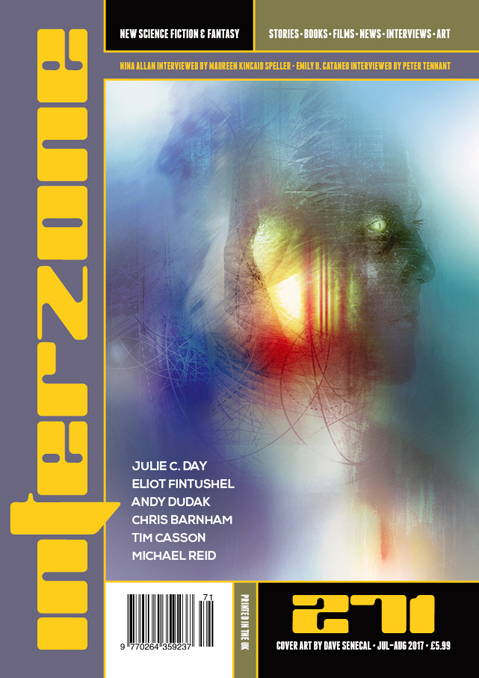 "Cryptic Female Choice," by Andy Dudak [bio] (edited by Andy Cox), appeared in Interzone issue 271, published on July 15, 2017 by TTA Press. This story is almost all infodump. There is no plot; the narrator has no goals and just drifts from episode to episode. The basic idea--that if women could take genes from multiple men then society would revolt and collapse--it hard to believe. The narrator's condescending attitude towards men gets old fast.